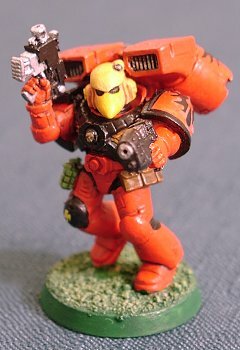 After years of painting on and off, I finally replaced Squad Vincent (Third Company, Second Squad - Tactical). 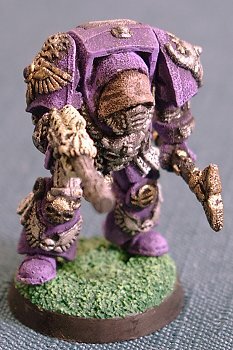 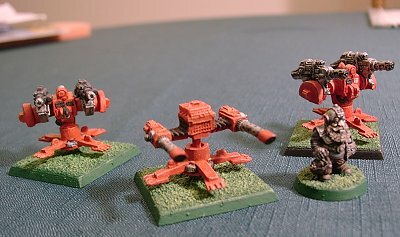 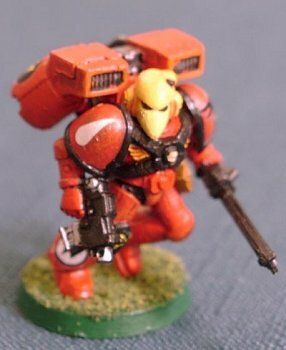 I'm now painting up a Fourth Squad (Tactical), which I have christened Squad Hector. 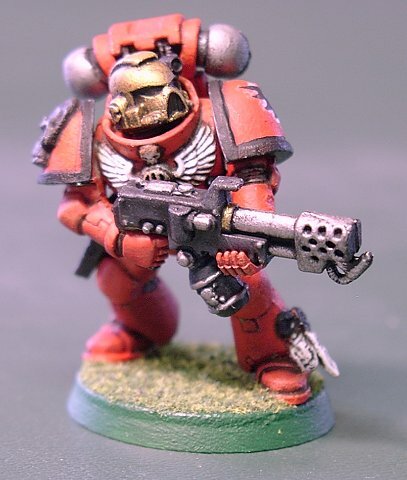 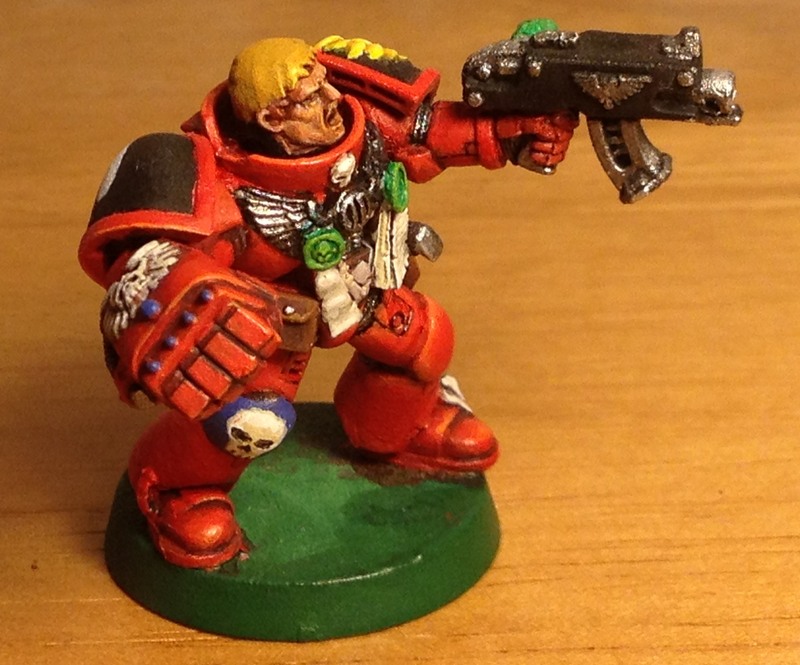 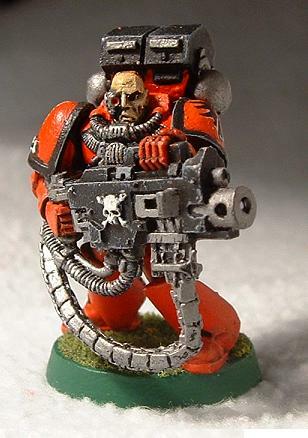 I intend to paint up an alternate sergeant with a different weapons load out (Brother-Sergeant Hector can't live forever, you know?) 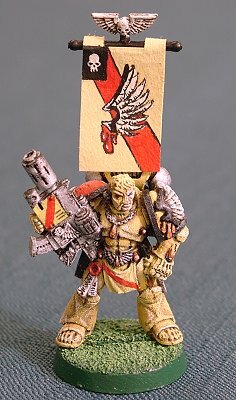 once I finish converting him. 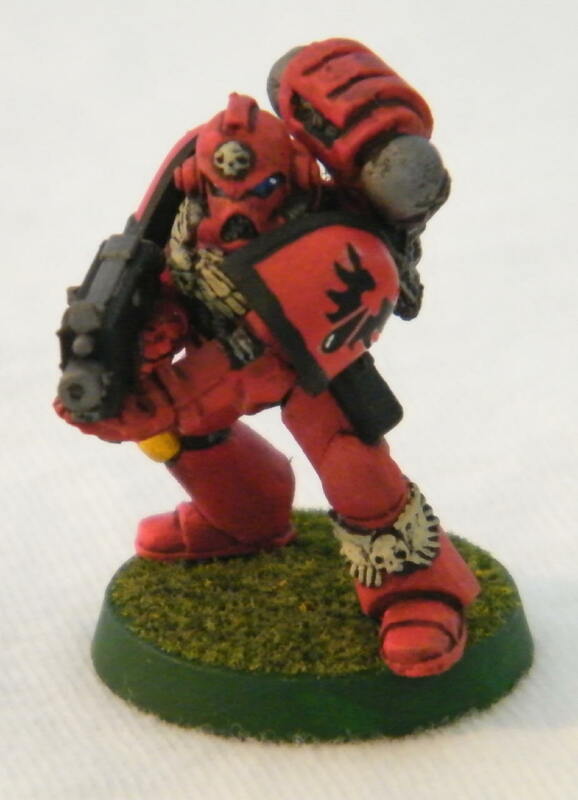 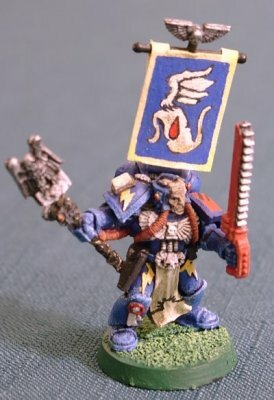 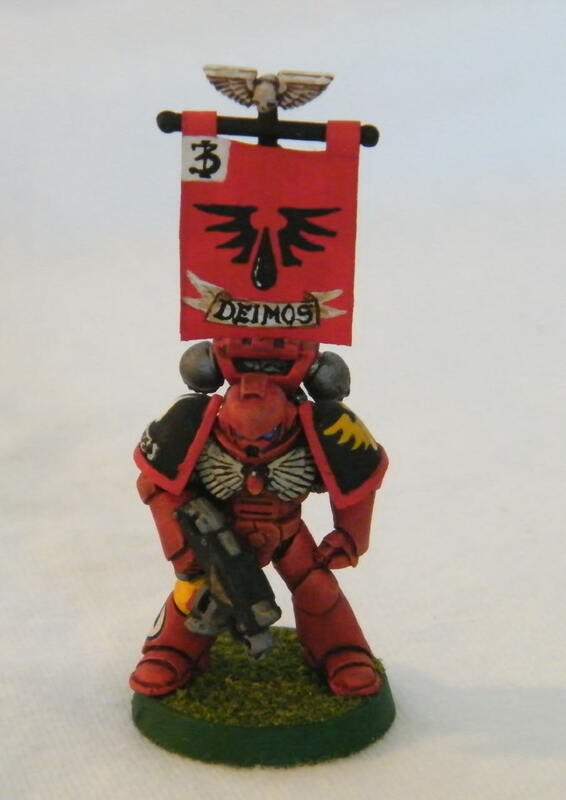 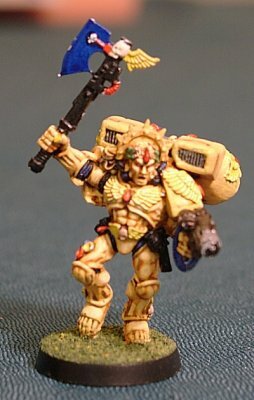 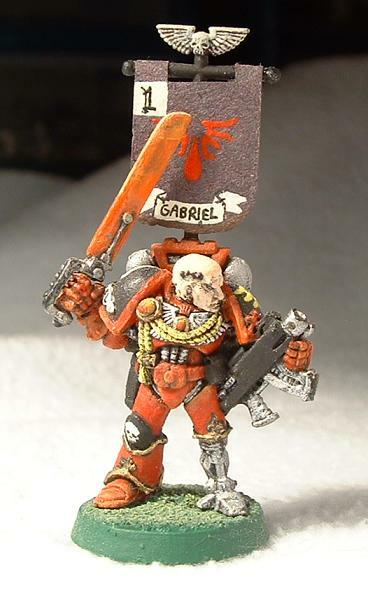 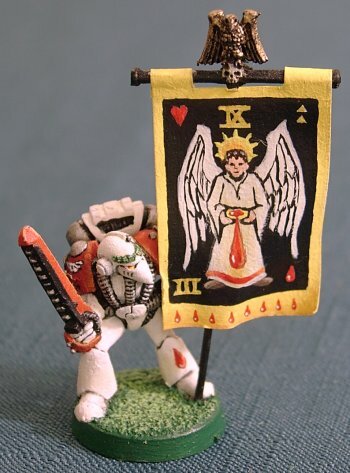 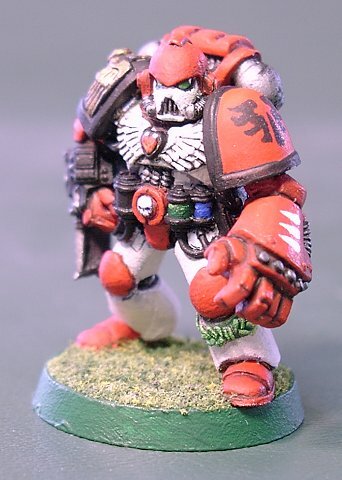 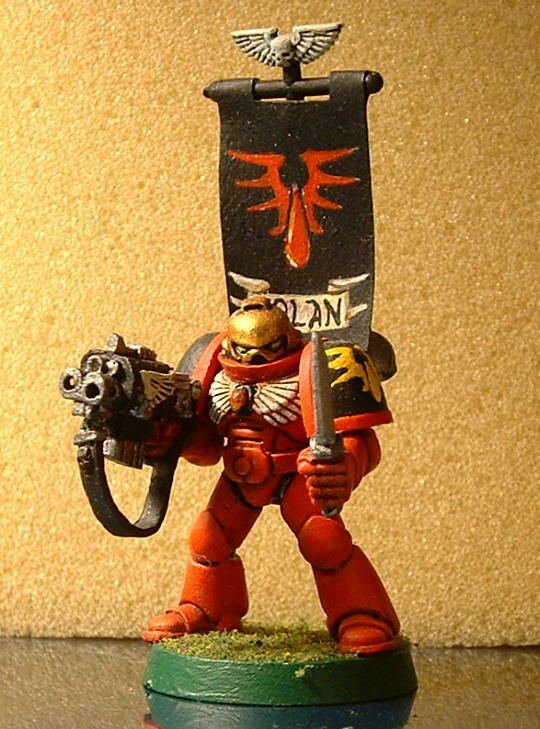 Brother-Captain Morgan Seraphim (19 K), commander of the first company, is made from the Games Day '91 limited edition captain, with a hand-sculpted wing mounted on his shoulder and a hand-painted banner mounted on the backpack that comes with the Dark Angels character Azrael. 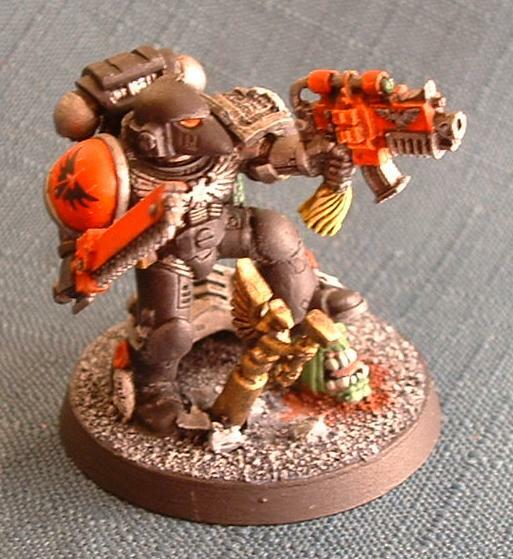 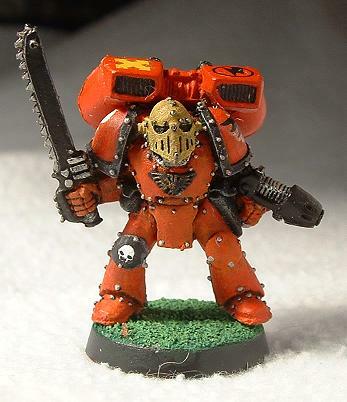 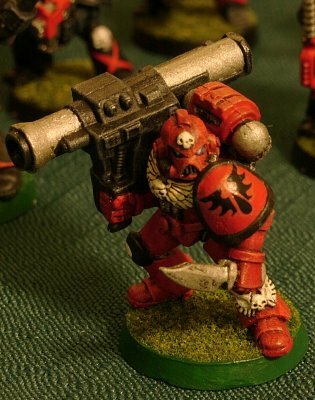 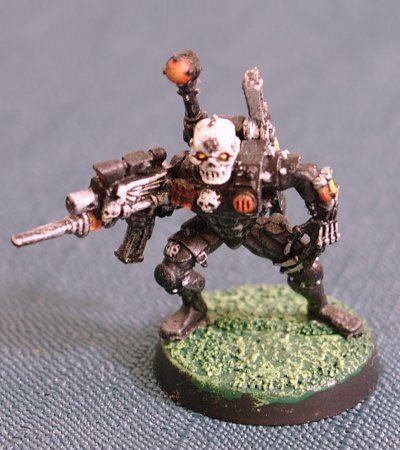 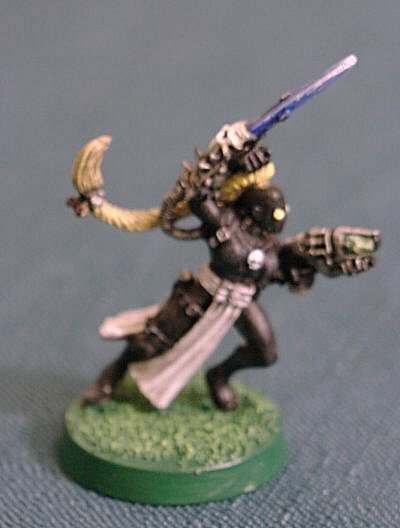 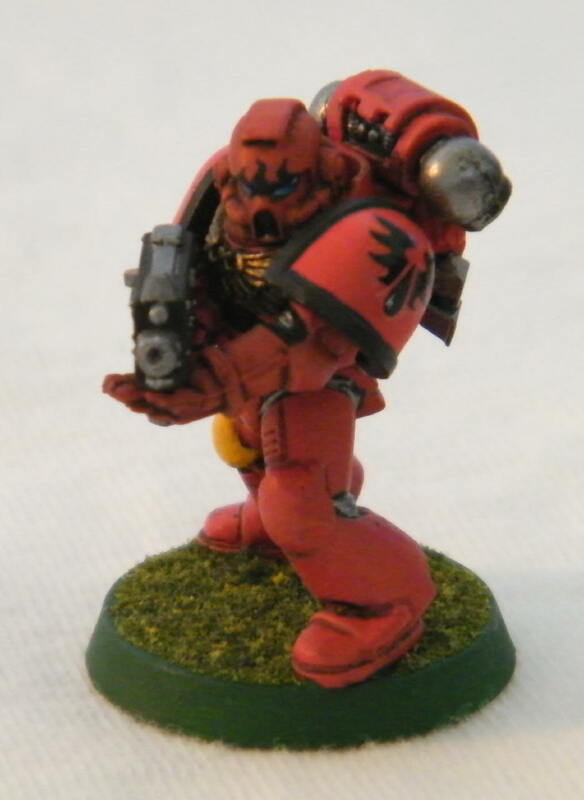 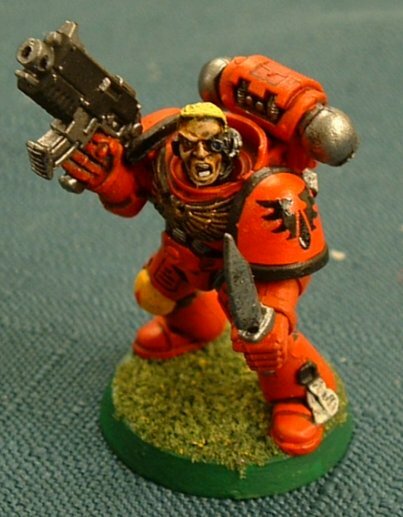 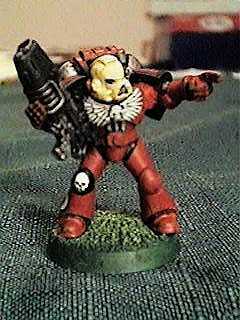 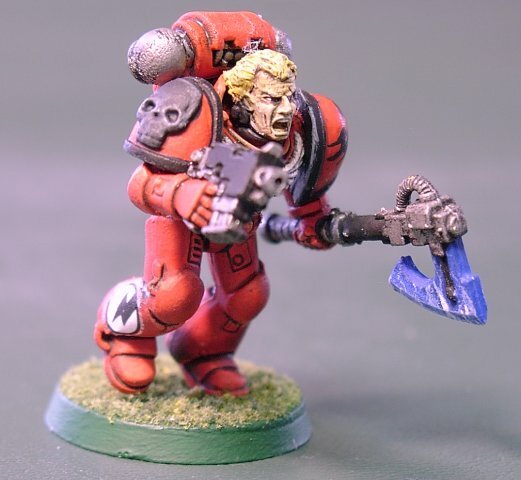 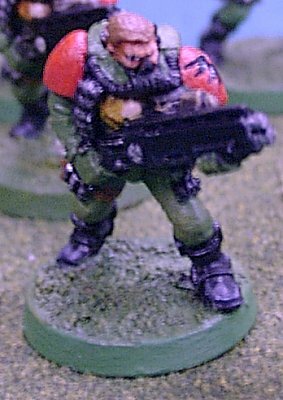 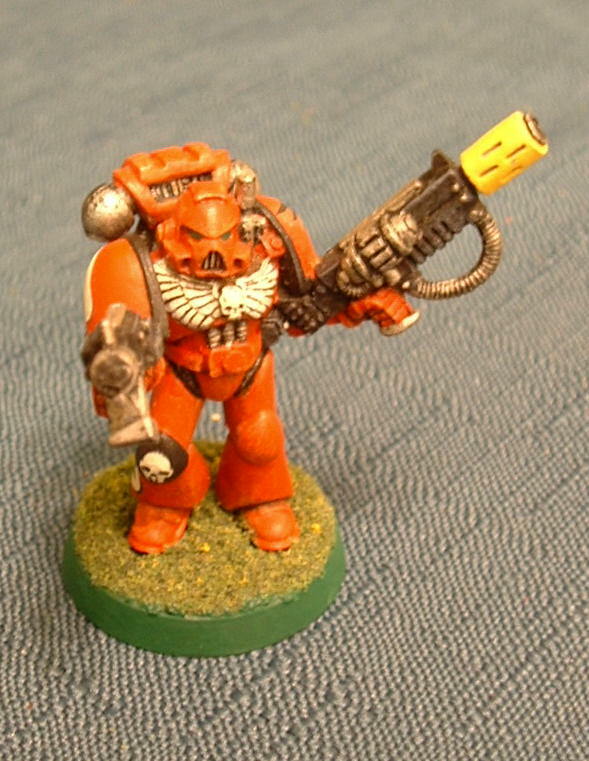 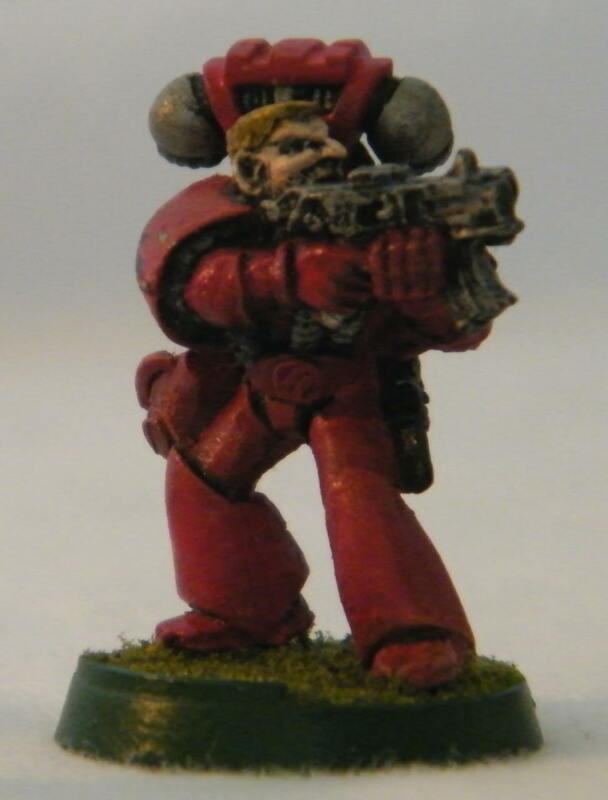 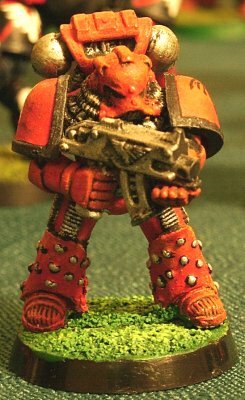 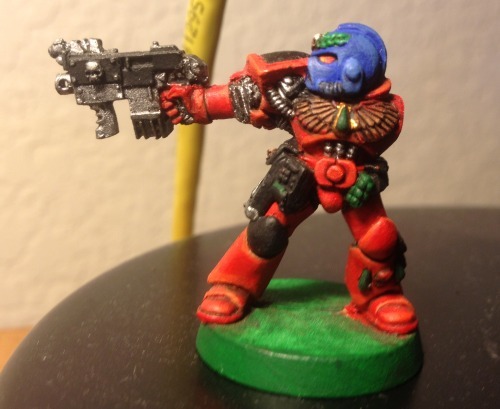 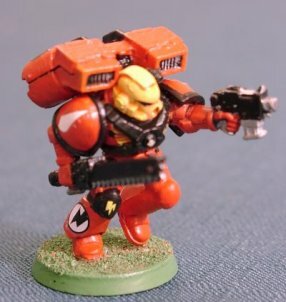 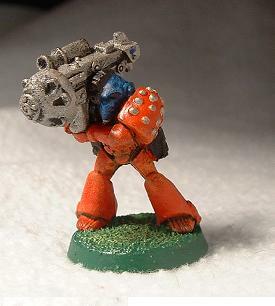 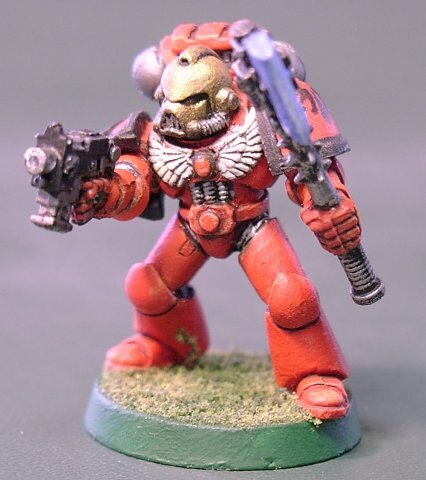 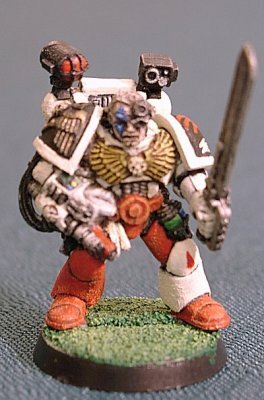 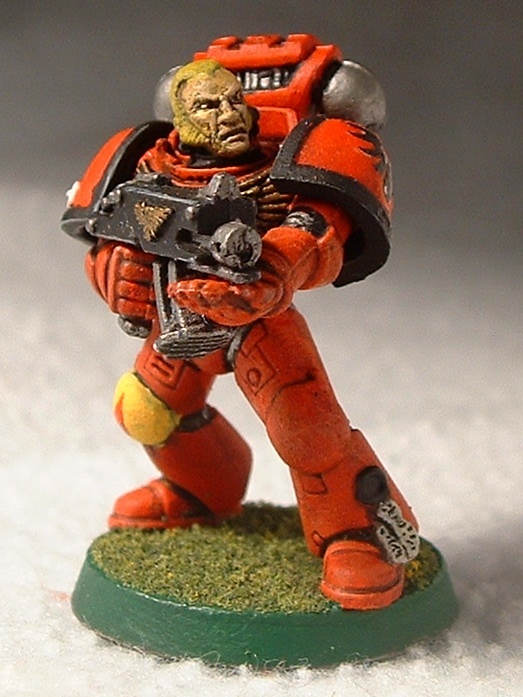 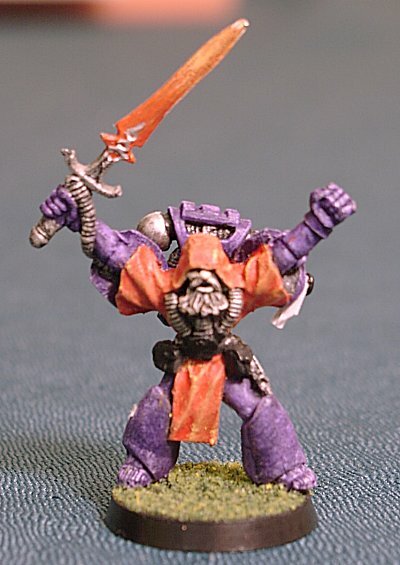 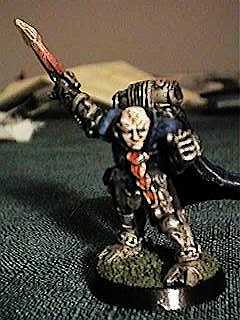 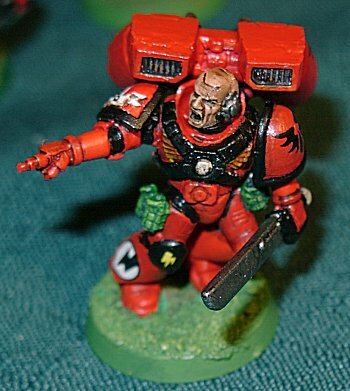 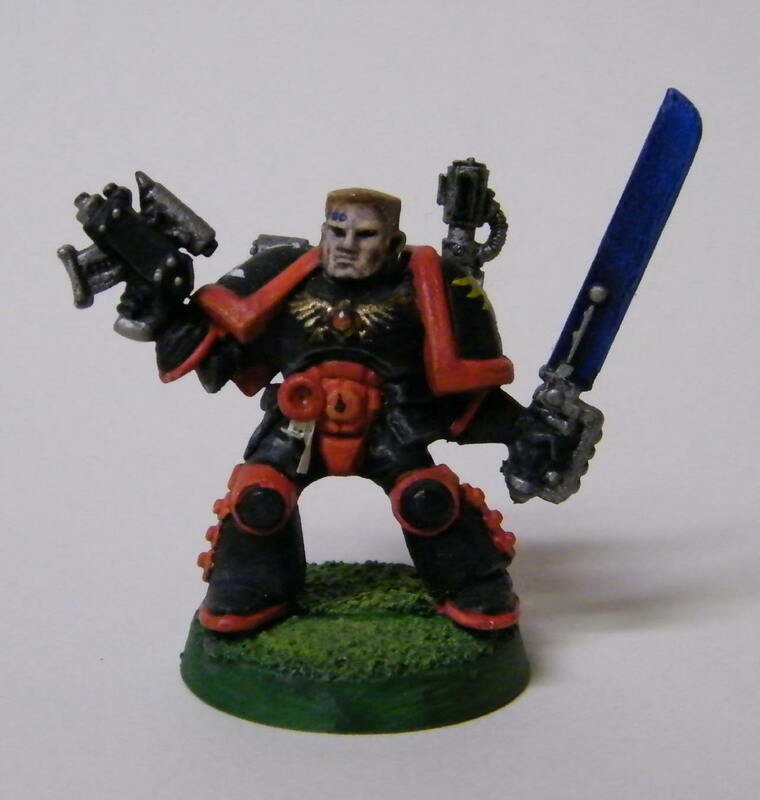 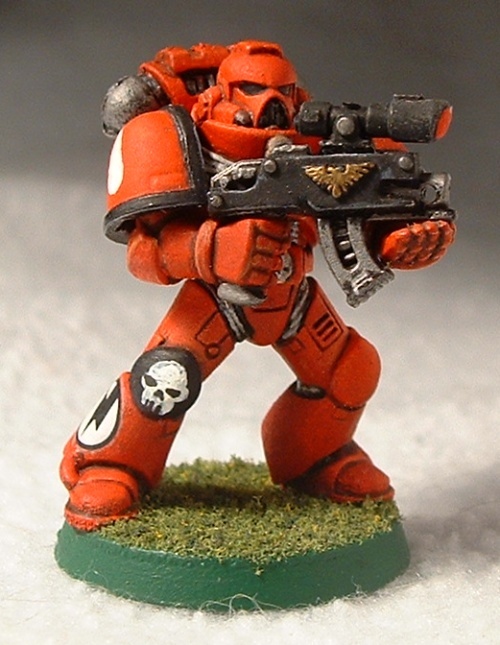 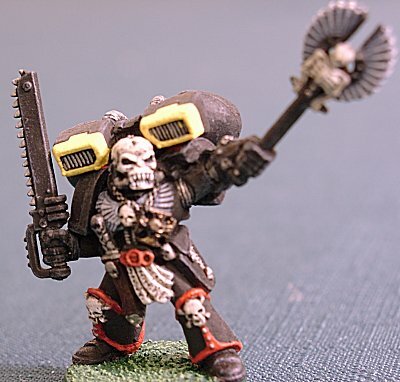 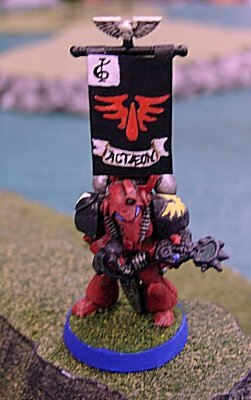 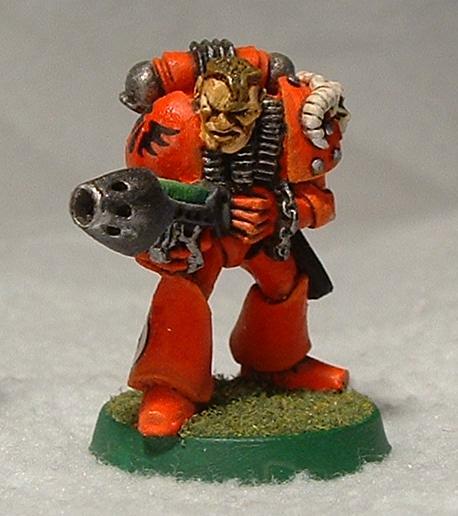 If I can spare the points, the sixth squad is lead by Brother-Sergeant Actaeon, (26 K) who is equipped with a power sword and an Auspex short-range scanner. 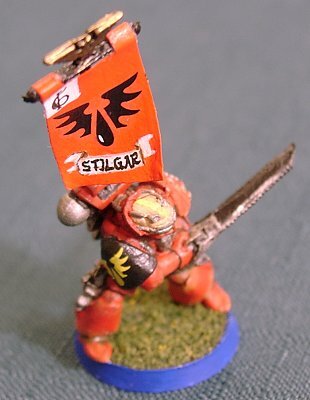 If I can't, Brother-Sergeant Stilgar (24 K) steps in. 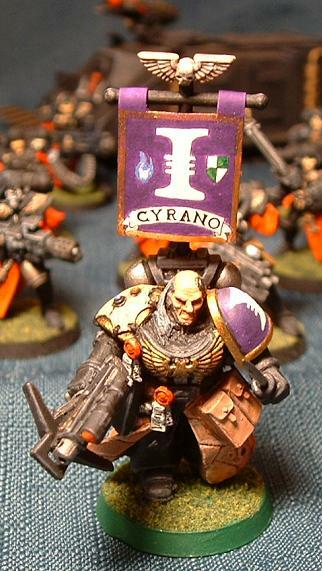 Imperius (28 K) is armed with twin lascannons on the right arm and missiles on the left. 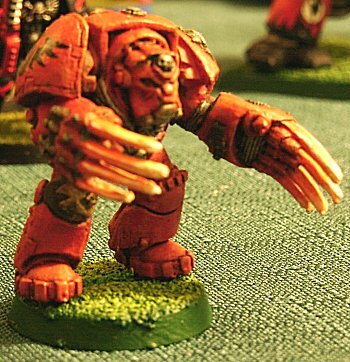 The purity seal on the right arm is from the old Epic Reaver Titan. 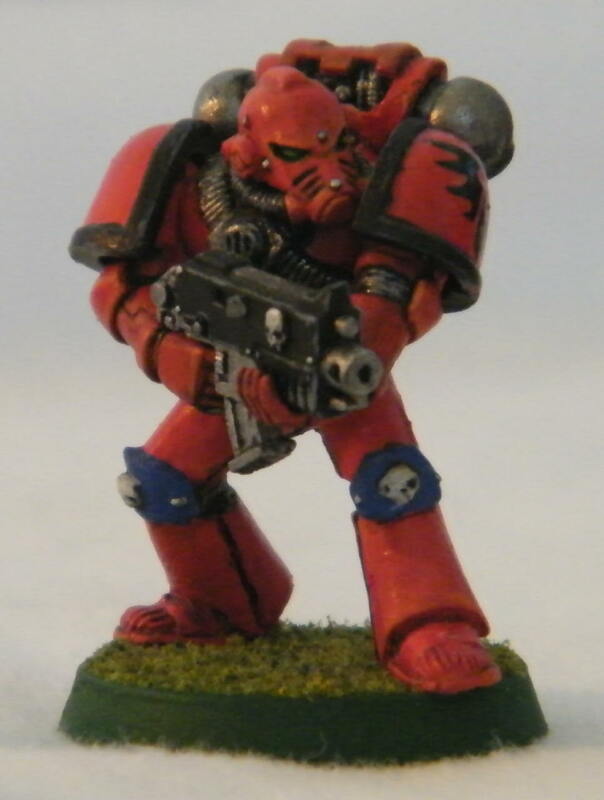 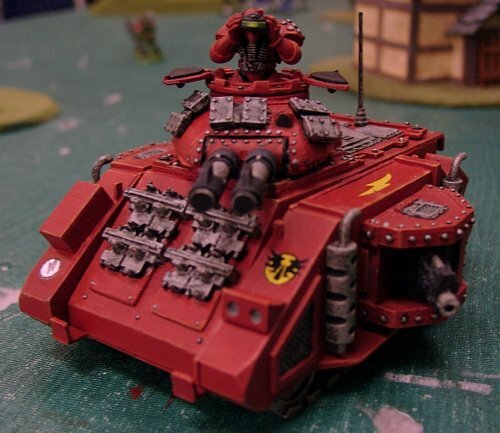 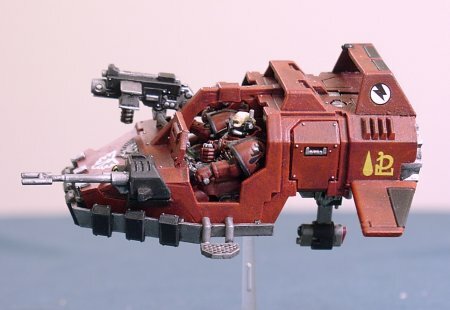 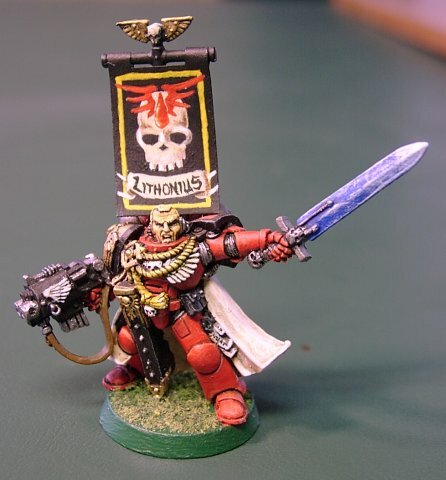 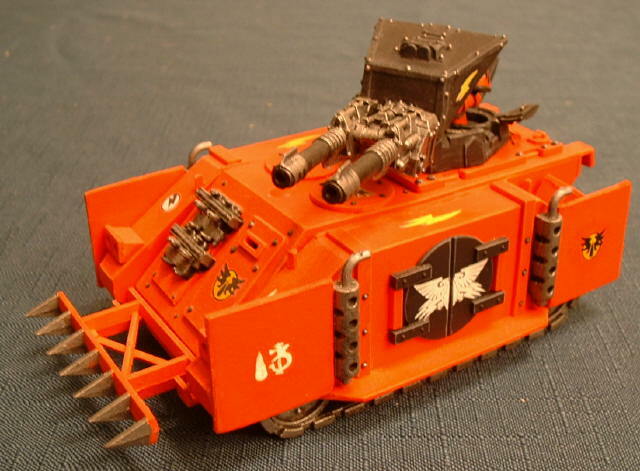 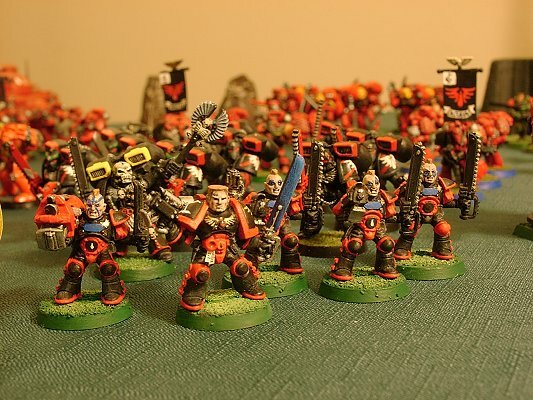 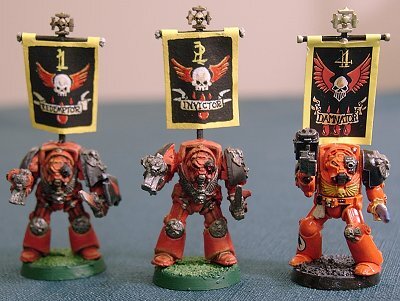 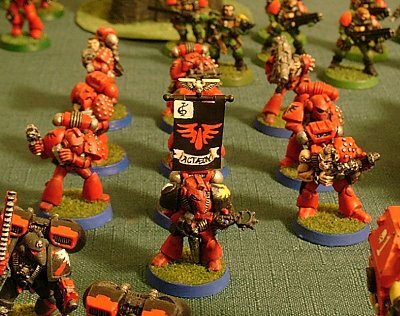 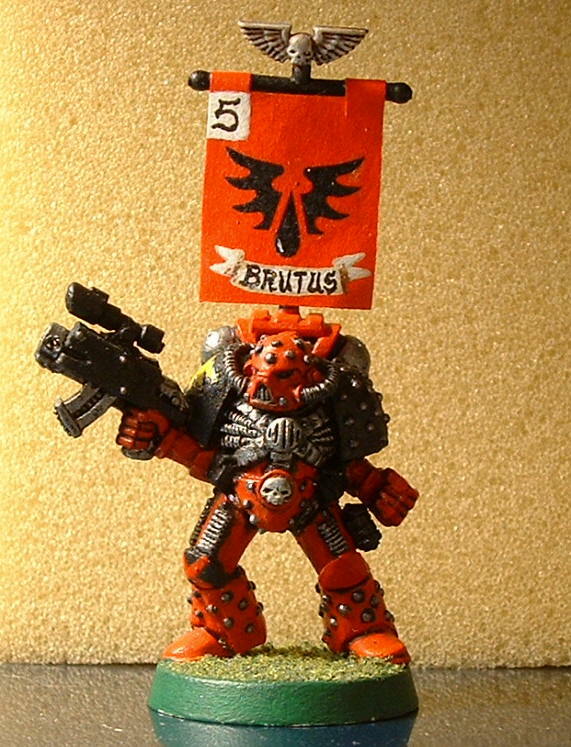 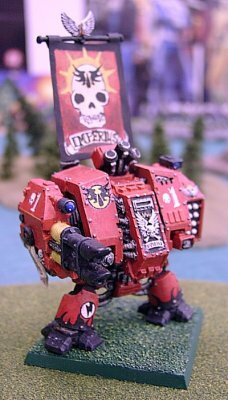 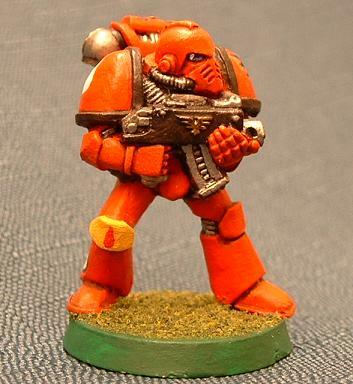 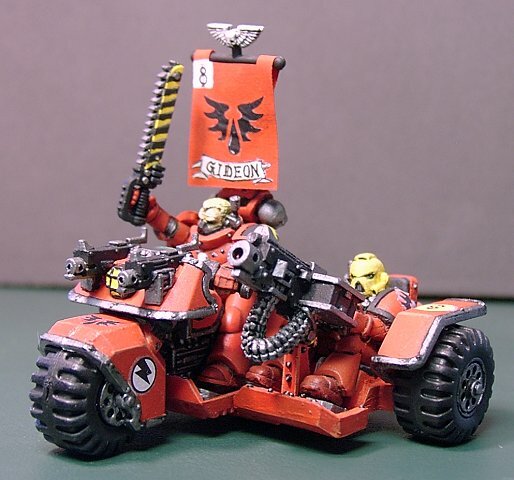 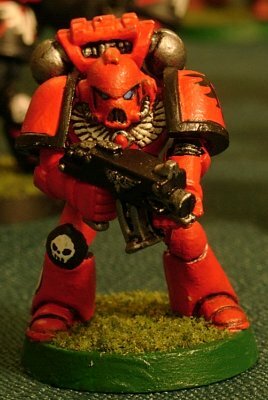 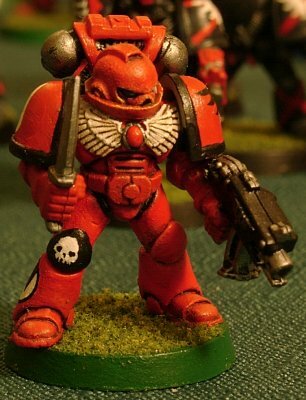 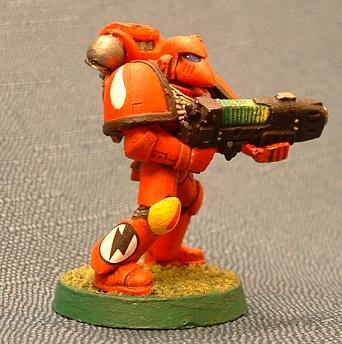 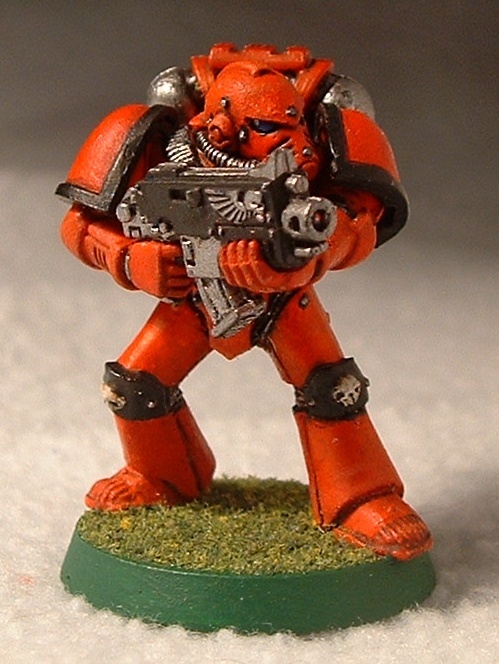 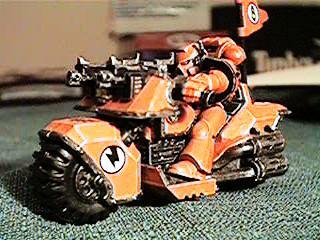 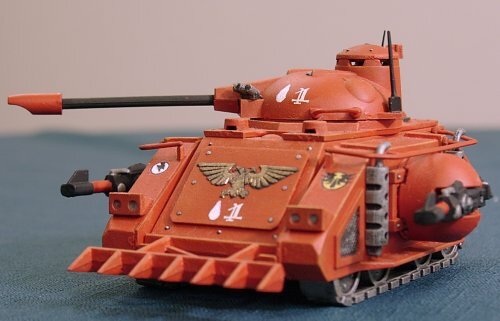 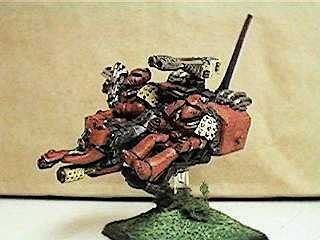 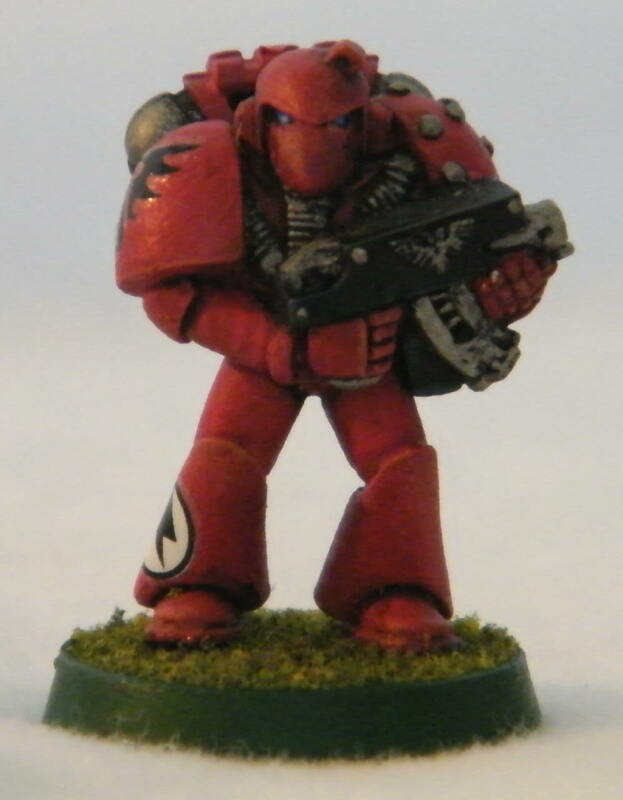 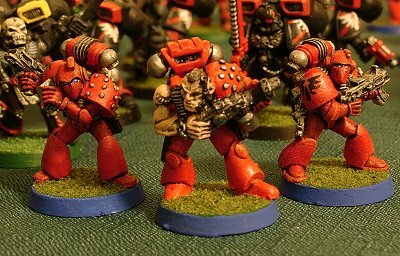 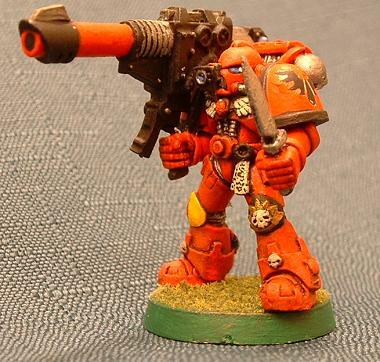 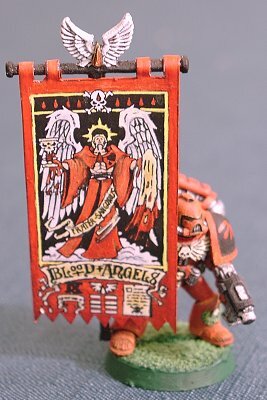 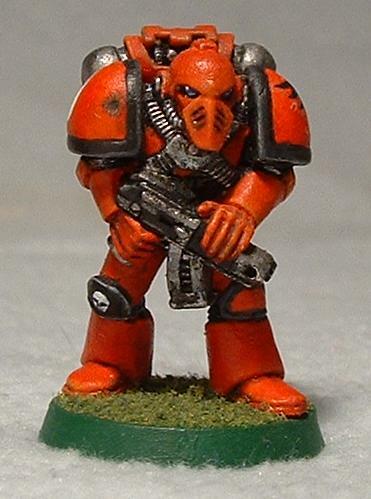 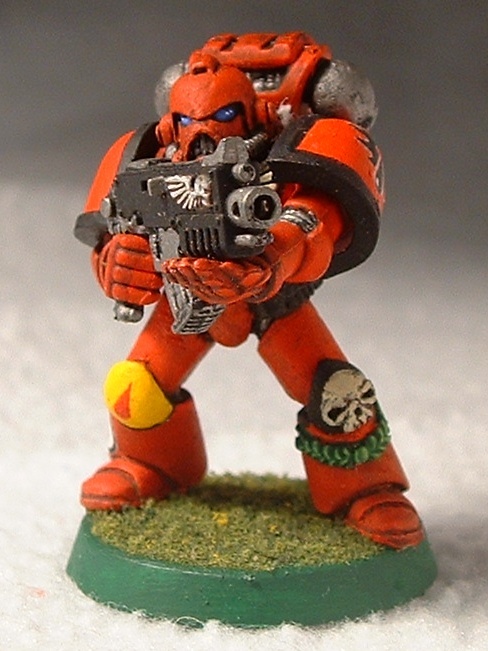 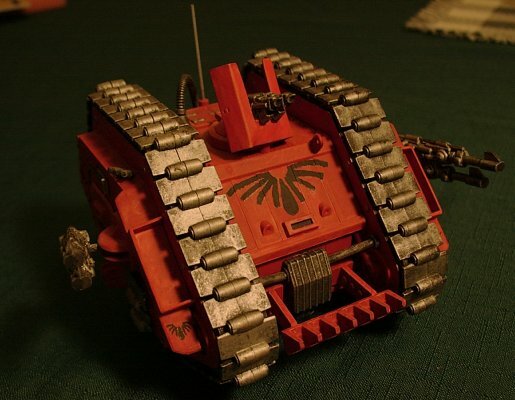 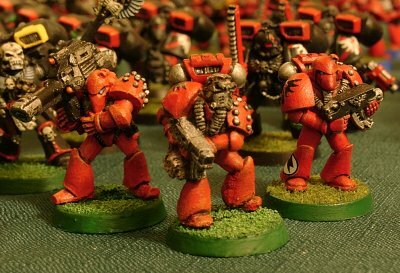 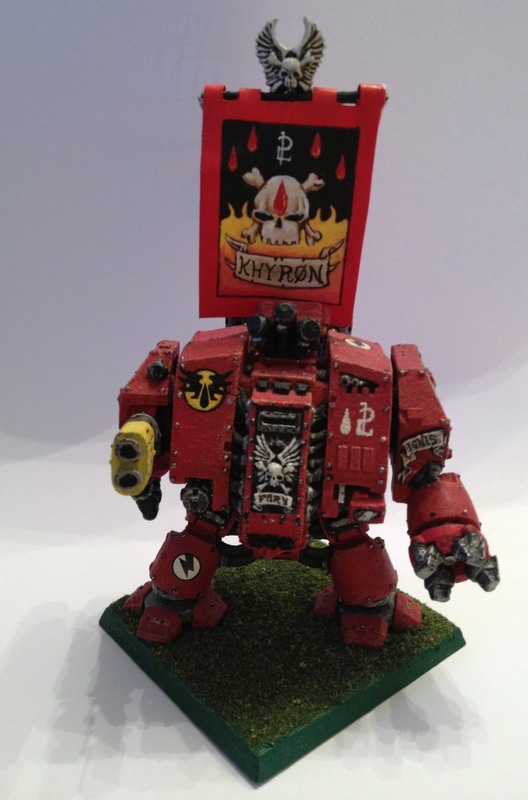 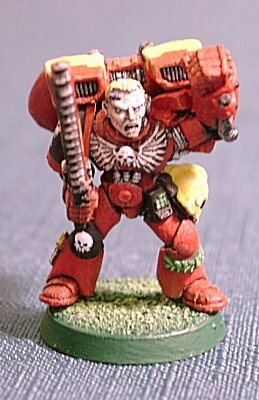 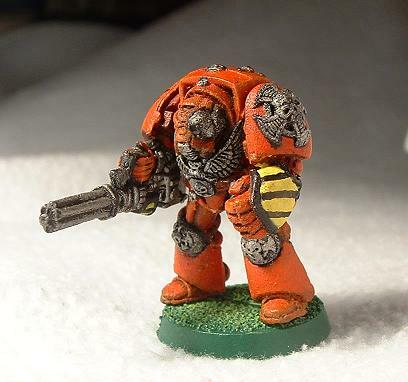 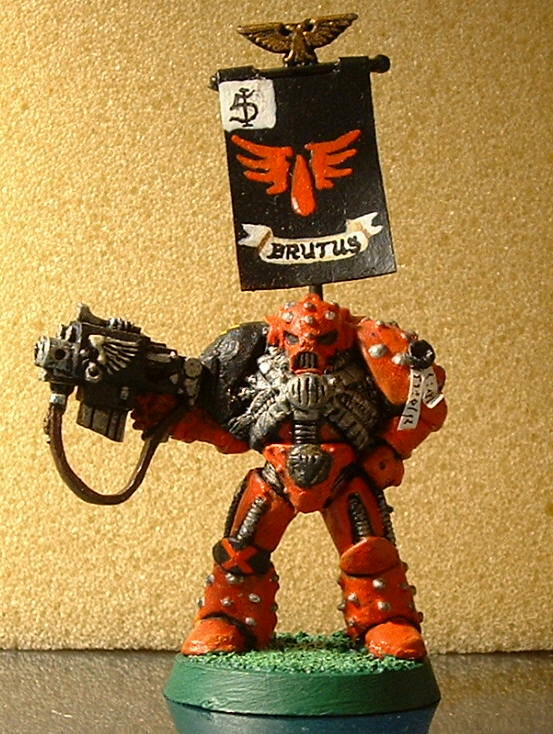 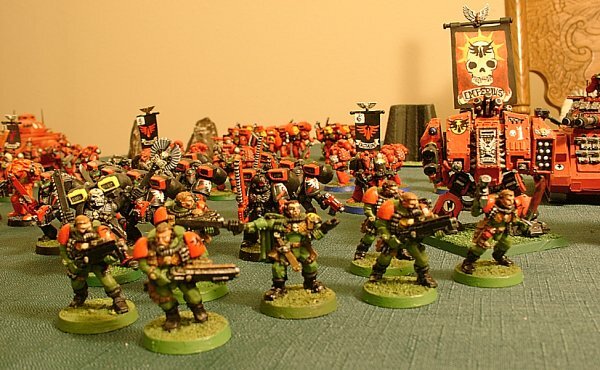 Somebody set up us the "Blood Angels" page on 20 June 2014.